HD Voice is activados y encendido. If using an eSIM with a second line, select a line (e.g., Primary, Secondary, 888-888-8888, etc.) then proceed to step 2. 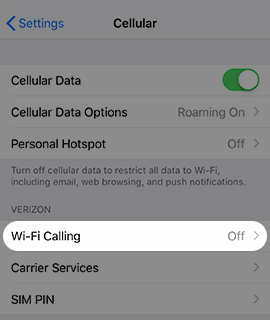 Tap the Wi-Fi calling on This iPhone switch to turn on o desactivar . 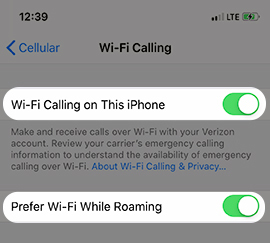 If present, tap the Prefer Wi-Fi While Roaming switch to turn on or off.